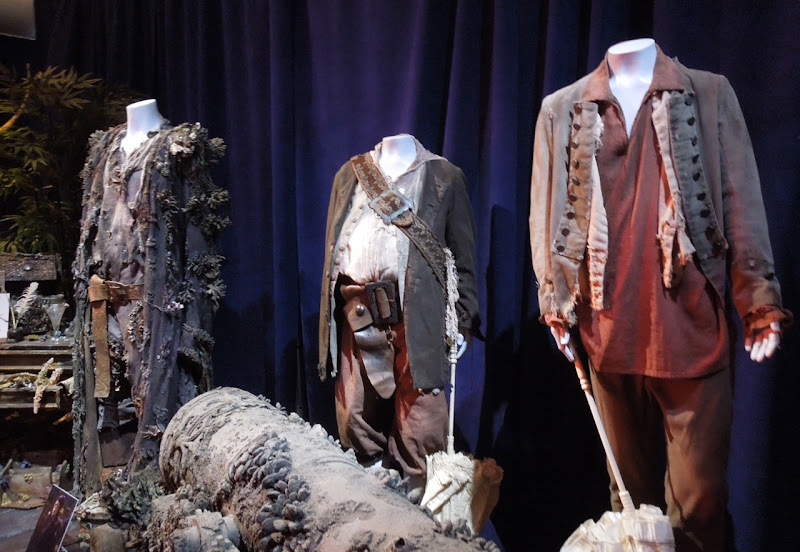 Here's a trio of cool pirates costumes from Pirates of the Caribbean: Dead Man's Chest and At World's End movies, on display at the Treasures of the Walt Disney Archives at The Reagan Library in Simi Valley on July 17, 2012. 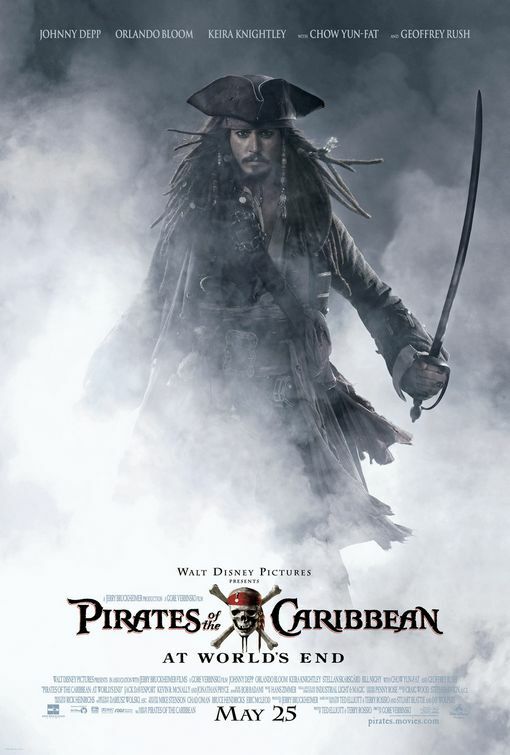 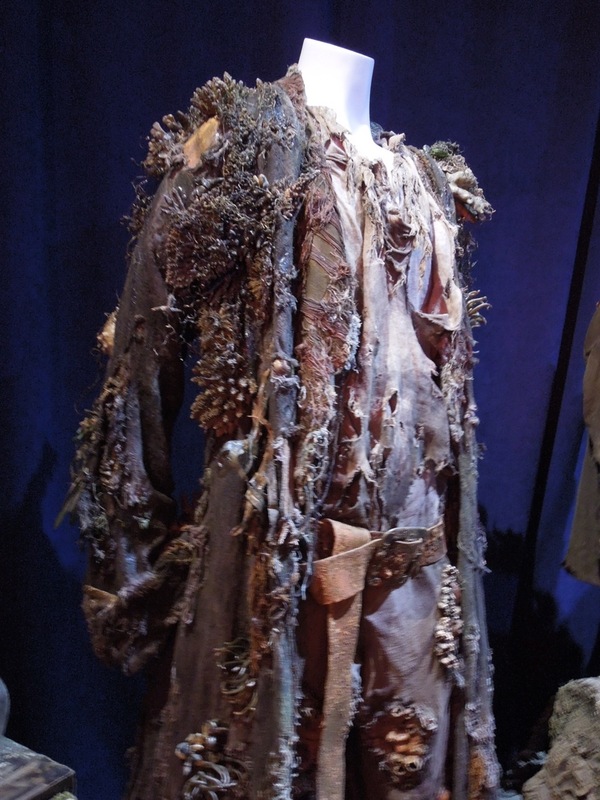 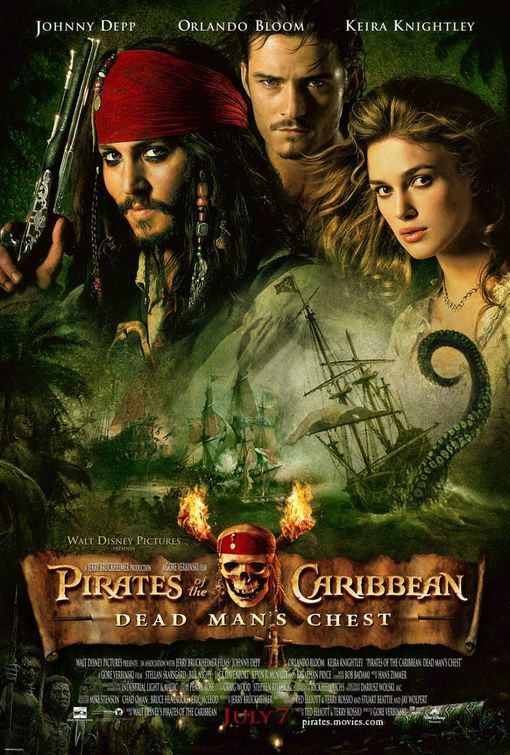 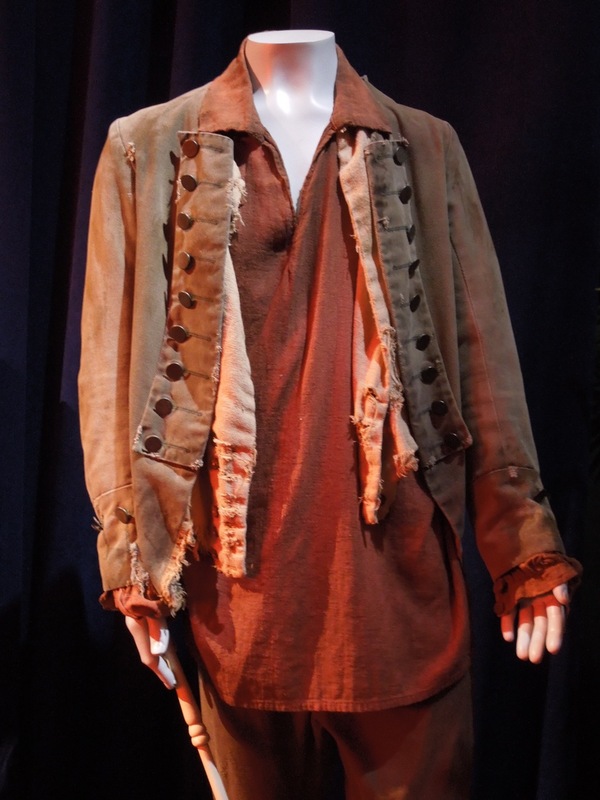 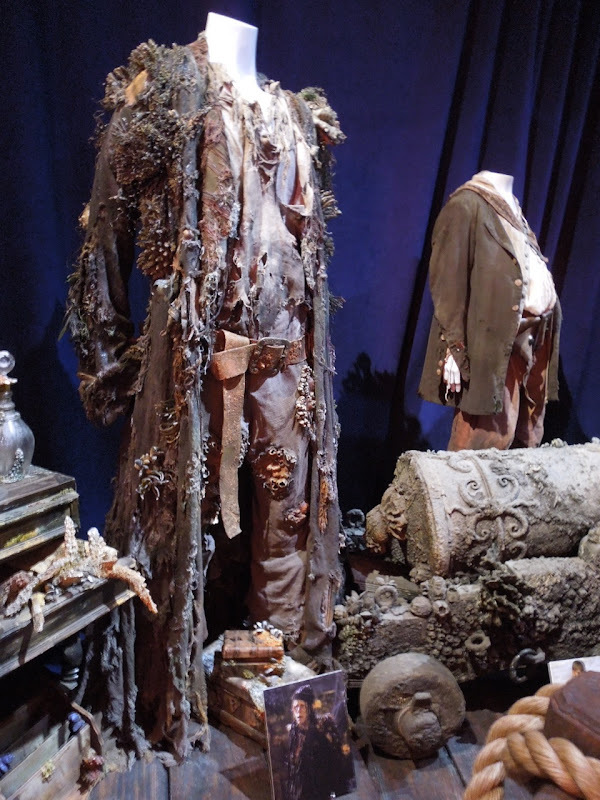 This collection of costumes and props included the barnacle-encrusted costume worn by 'Will Turner's' father 'Bootstrap Bill' and similarly adorned cannon from The Flying Dutchman pirate ship, plus the pirate outfits worn by the films comedy duo 'Pintel' and 'Ragetti'. 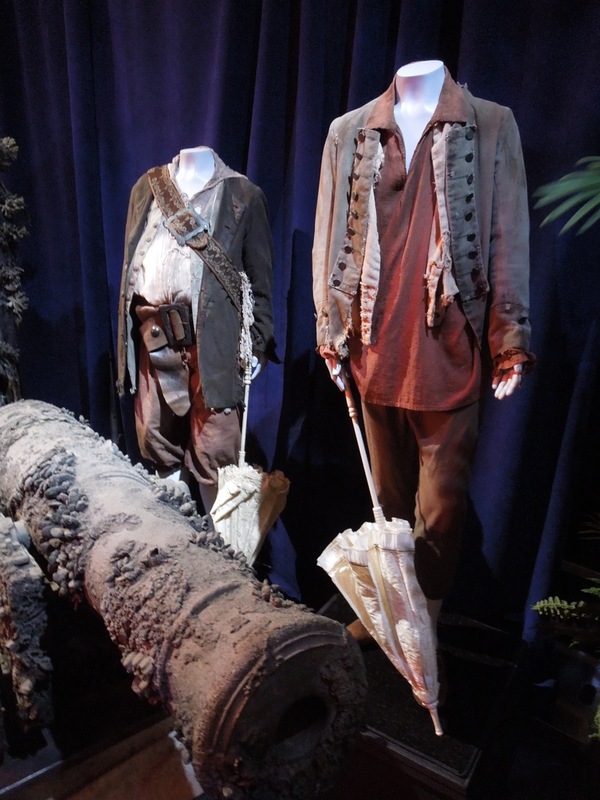 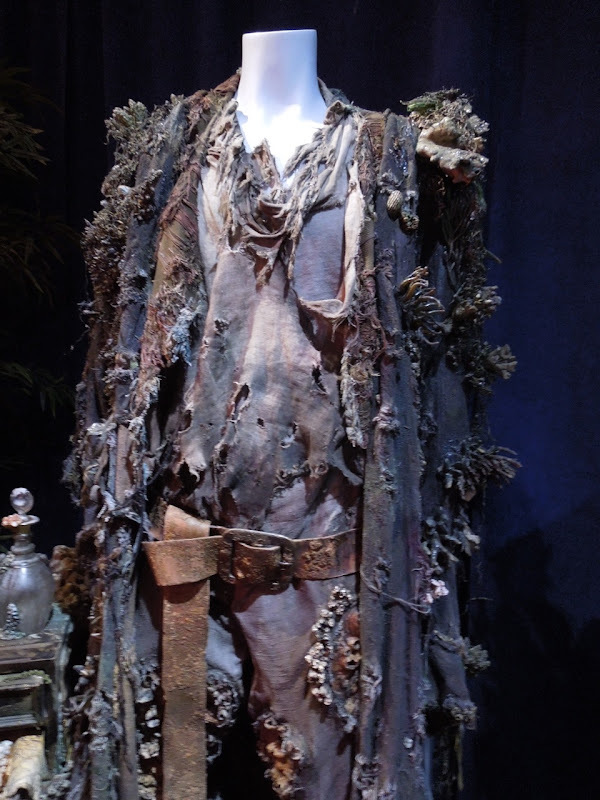 These original costumes were designed by Penny Rose, who is responsible for costume design on all four Pirates of the Caribbean movies to date. 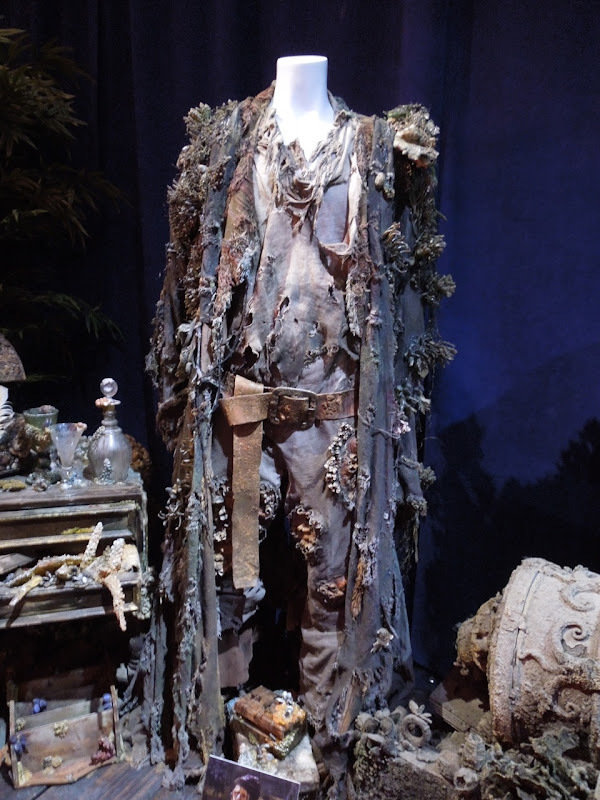 If you're a fan of the actor who plays Orlando Bloom's on-screen father in the second and third movie sequels, be sure to also take a look at Stellan Skargard's costume from Mamma Mia: The Movie too. 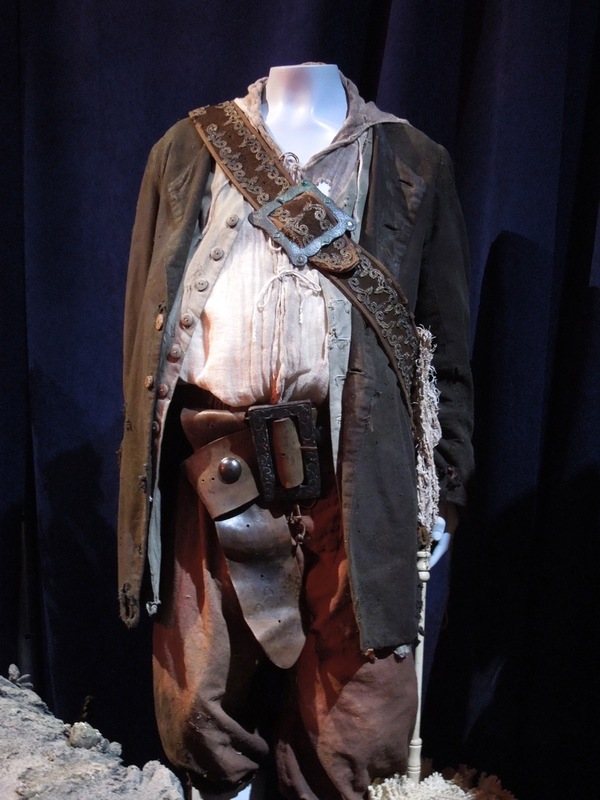 If you're a fan of the swashbuckling movies, be sure to check out all these other fantastic original costumes, models and props used in Disney's Pirates of the Caribbean movies.